Specialists in all aspects of Hernia repair. Our patients are always put first with outstanding quality of care. If you would like to ask us any questions or simply make an appointment to talk with one of our consultants simply call 0161 888 8888 or contact us from the online form. The Keyhole Surgery Centre is a specialist centre for the provision of Obesity, Hernia, Gall Bladder and advanced Laparoscopic surgery for Upper Gatro-intestinal conditions like reflux disease and cancer. 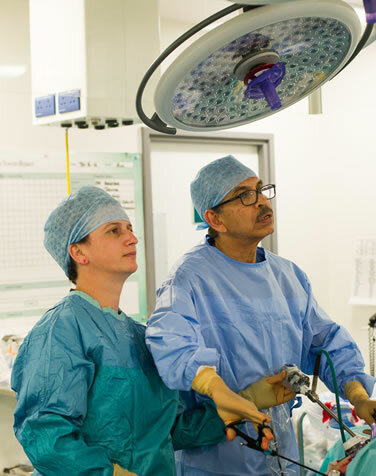 Our senior surgeon, Mr Akhtar, has been doing weight loss, hernia and gall bladder surgery for many years. He is a Consultant General and Upper GI Surgeon, and works in Salford Royal NHS Foundation Trust which is one of the leading University Teaching Hospitals in Manchester. 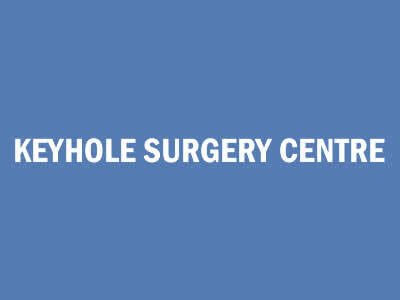 The Keyhole Surgery Centre specialise in Hernia, Gastrointestinal and Laparoscopic Surgery. We provide a professional and personal service at times to suit you in comfortable and friendly surroundings. Gastroesophageal reflux disease (GORD) is a common condition affecting up to 20% of the western population. The majority of hernias occur in the abdominal wall due to weaknesses in the muscles surrounding the abdomen. Consultation, Fast Track Clinics, Gastroscopy, Flexible sigmoidoscopy, Colonoscopy, Keyhole Hernia Surgery, Oesophagus and stomach cancer. Investigation and treatment of Barret’s Oesophagus, Investigation and diagnosis of abdominal pain, Indigestion and reflux symptoms management. Hiatus hernia management, Gallstone (gallbladder) diseases, Dietetic services, Stomach and duodenal ulcer investigations, Fissures, abscess’ and haemorrhoids, Appendicitis management, Skin lumps and bumps including pilonidal sinus, Gastrointestinal diseases.